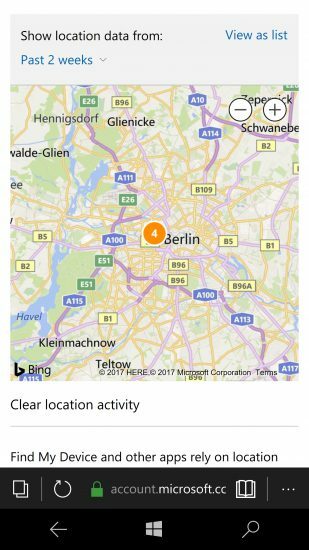 In other blog post, we discussed the updated Elcomsoft Phone Breaker that allows extracting search and browsing history, location data and call logs from users’ Microsoft Accounts. 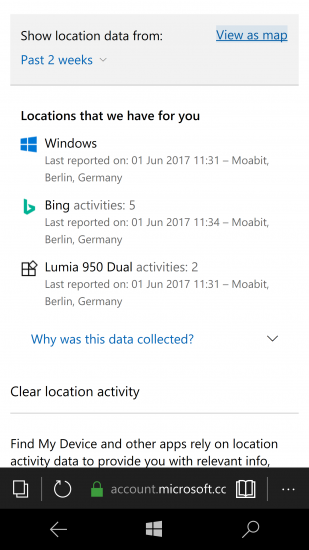 Now let’s talk about the origins of this data and how to enable its collection on different devices – even if they don’t run Microsoft Windows. 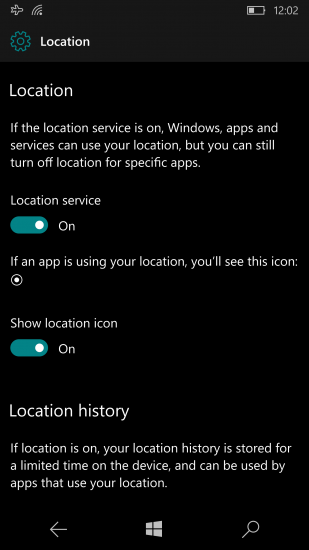 Access to location is available in device settings. 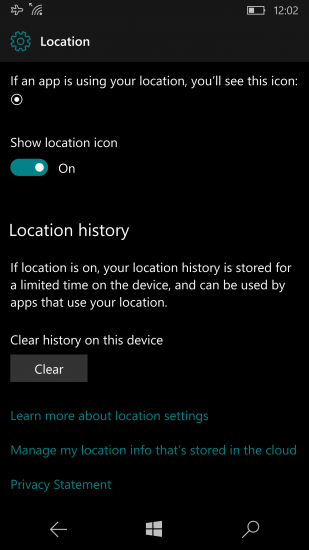 By default, location data will be shared with Microsoft. 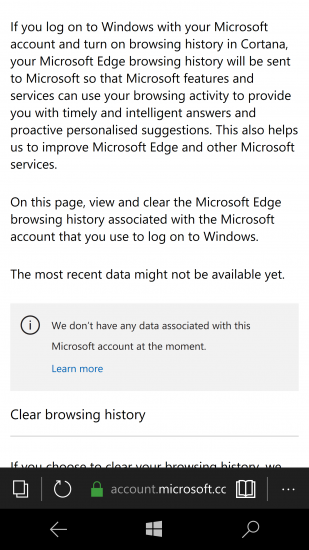 Microsoft collects Web browsing history if you’re using Edge as your Web browser, and if you are signed in to Microsoft Account in the browser. 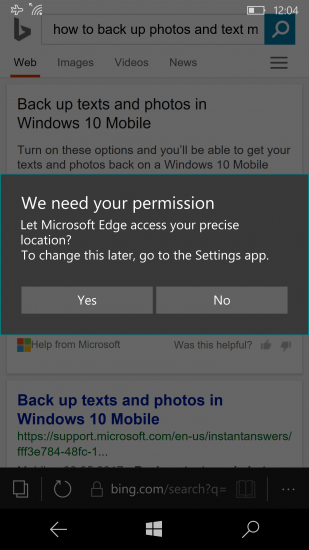 Since Microsoft Edge is exclusive to Windows 10 (desktop and Mobile), browsing history is not collected from any other device. Microsoft stores search requests made on Bing.com regardless of the Web browser. Note that Bing search requests are only recorded if the user has been logged in to their Microsoft Account in the Web browser while running the search. 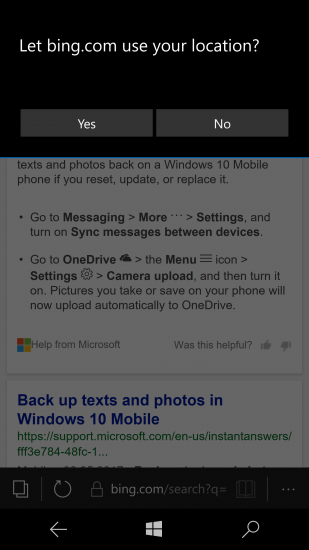 Since Cortana uses Bing by default, Cortana search queries are also recorded and stored in the cloud. Search history can be synced across devices if the corresponding setting is enabled. There is no specific setting to enable or disable call history. 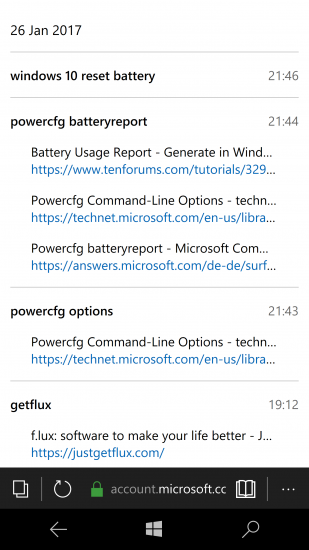 Call logs are not (yet) automatically synced via OneDrive or Microsoft Account. Instead, they become part of mobile backups produced by Windows 10 Mobile (and Windows Phone 8.x) smartphones. These backups are then stored in OneDrive. Elcomsoft Phone Breaker extracts information about the call logs from these mobile backups. 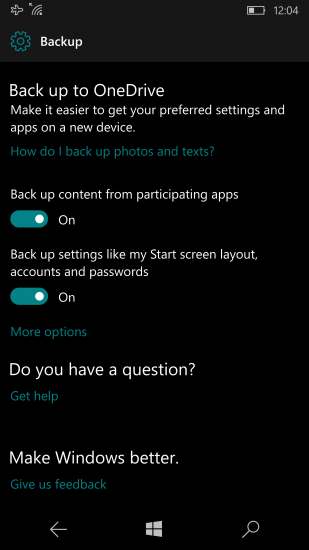 Backups are enabled by default in Windows Phone 8.x and Windows 10 Mobile devices. In order to enable or disable backups, visit Settings > Backup. Unlike call history, text messages are synchronized across devices. The relevant setting is accessible through the Messaging app itself and not the main Settings icon. 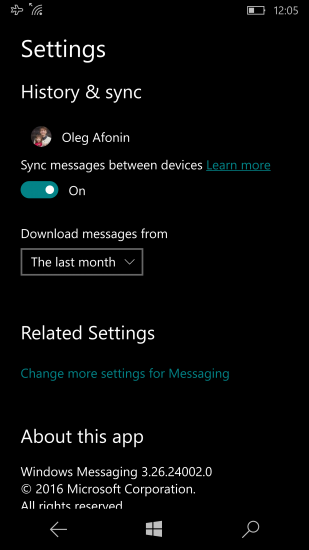 To enable or disable SMS sync, users would go to Messaging > Settings > Sync as shown on the screen shot below. 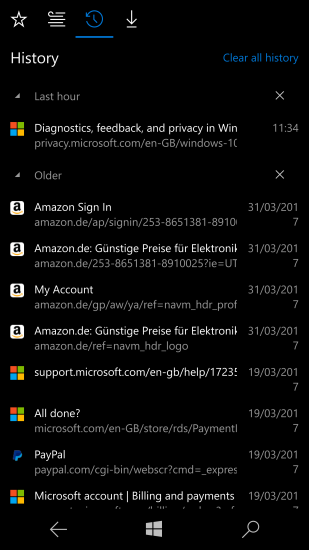 Once enabled, messages will be synced across all devices registered with the same Microsoft Account. This entry was posted on Friday, June 16th, 2017 at 12:29 pm	and is filed under Did you know that...?, Elcom-News. You can follow any responses to this entry through the RSS 2.0 feed. Both comments and pings are currently closed.